Google+ and its intertwining into other Google services has almost come full circle. (See what I did there?) It has already invaded our Gmail inboxes with the ability to sort things by Circles, controversially entered our search results, and has now as of today joined into the Google Voice party. 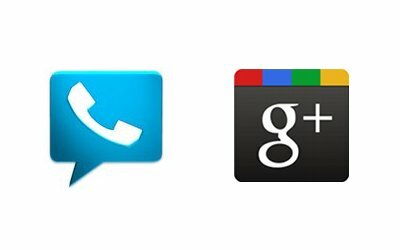 If you are a user of the “greatest voice service on the planet” – a quote I use quite often – then you will have the option in your Google Voice account to start setting up specific voicemail greetings per Circle. As Google mentioned in their announcement for this new feature, you can send calls from your “Creepers” Circle straight to voicemail and let your old college crew here your karaoke version of “This is How We Do It.” Fun. Circle management is not yet in the Android app, but you have to imagine at some point that Google will figure out a way to work it in. Google+ is the future of Google services and this is simply another sign of that.